Here’s a suggestion of something to do in Paris which you may not find in the guidebooks or the “top 10 this-or-thats for Paris.” It has to do with florists, flower shops, floral boutiques, buying flowers. Paris is known as a romantic city. Well, this is one of the factors that contribute to that well-deserved reputation. 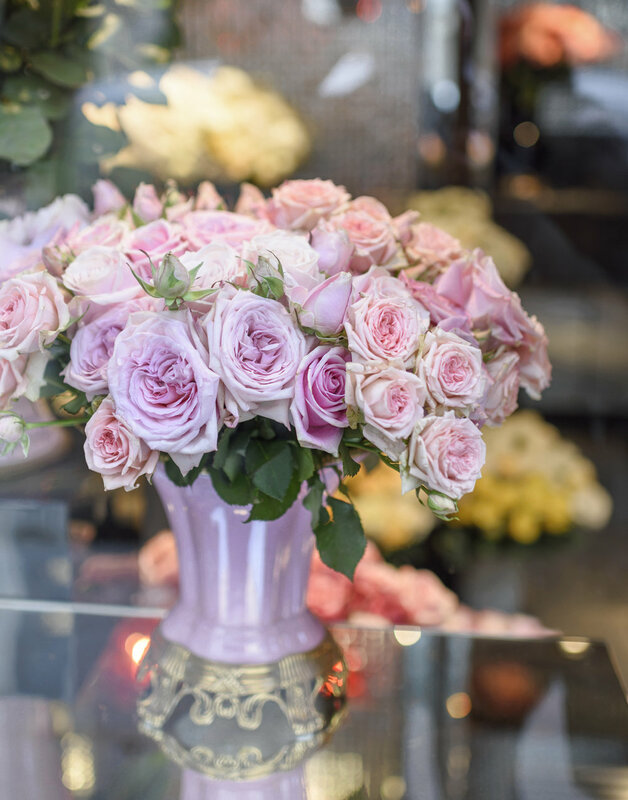 Our recommendation is that you visit one or more of the numerous florists or flower shops in any part of Paris and shop for a bouquet of flowers for your apartment or hotel room or for someone special. And while you are shopping for your beautiful bouquet, pay close attention to the shops, the staff, the customers, and the whole activity. 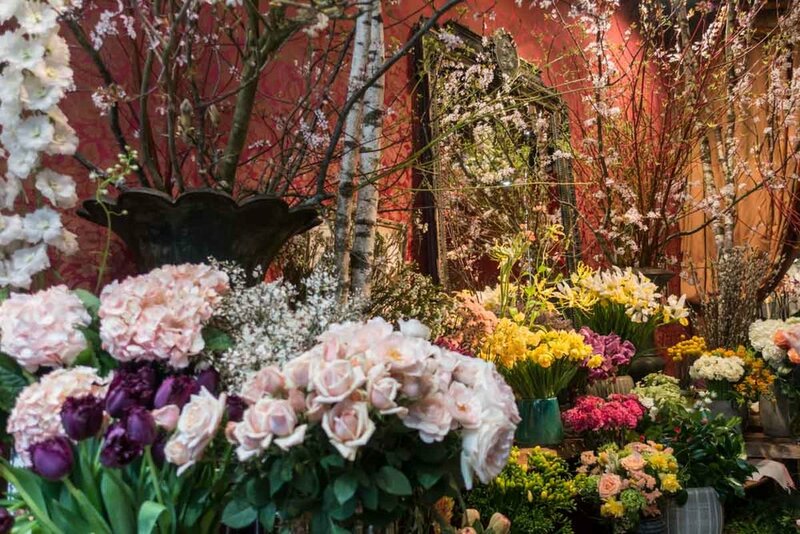 There is something magical about Paris flower shops, not to be found elsewhere. The bouquet itself will be worth the time and money. But the experience will be priceless and unforgettable. 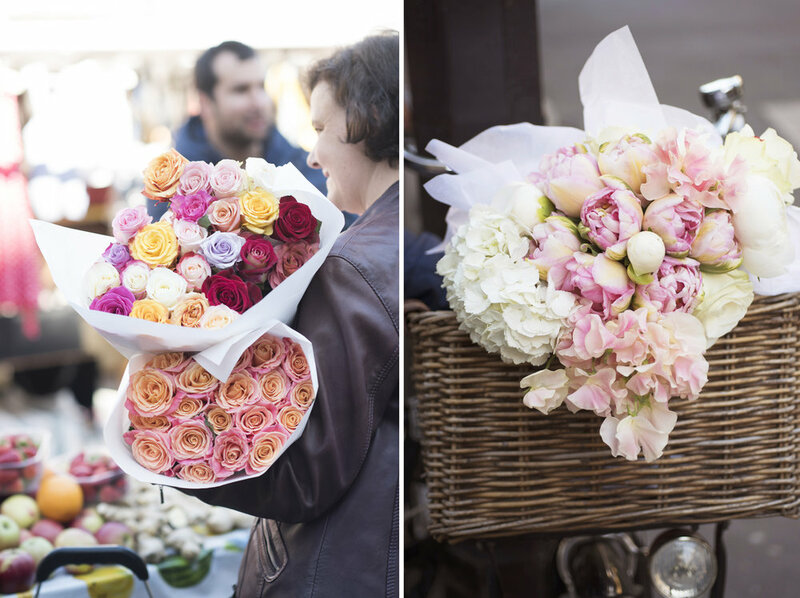 There is a whole art and culture surrounding the buying and selling of flowers in Paris. The expectant look on the buyer’s face as she (or, often, he) enters the shop and looks around, taking in the full display. The careful choosing of the right type and color of flowers for the occasion. The close inspection of each stem with eye and nose. The earnest, helpful and deeply involved advice of the florist, (because this is no light matter to be brushed off). The final selection after much deliberation and conference. The careful clipping and arrangement. The elaborate and elegant wrapping and tying, application of ribbon (color coordinated of course). The new spring in the step and dreamy look on the face of the buyer as he or she heads out the door, bouquet carried conspicuously but protectively, perhaps imagining the effect the flowers will have on the intended recipient, or the wonderful setting in which the bouquet will hold center stage. In this case, since you will also be a customer, observe how the experience makes you feel. But also pay attention to others undergoing the same process. There are variations of course but that is what makes this even more interesting. We urge you to go and discover this very Parisian phenomenon for yourself. It is one of the more beautiful little dramas to be found in a city which holds so many little dramas. We hope this blog post will set you off on a path of discovery which will delight and surprise you. 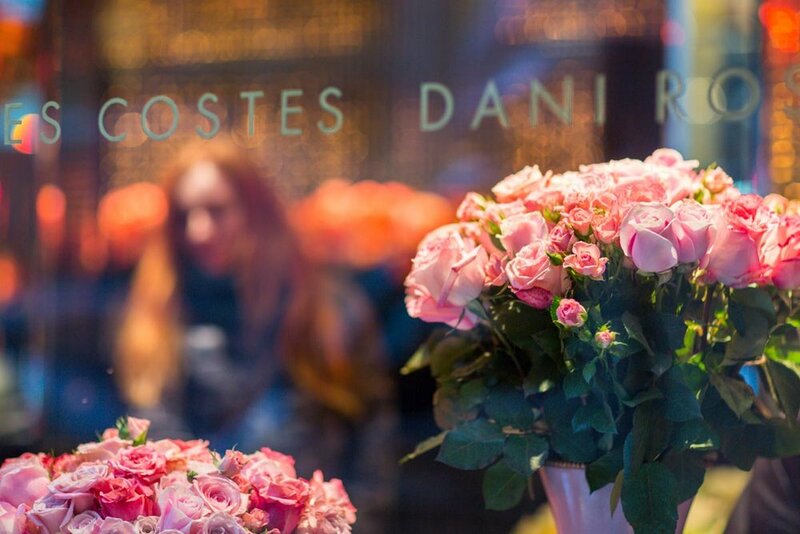 The following example is Roses Costes, adjacent to and owned by the Hotel Costes (formerly Roses Costes Dani Roses). Beautiful flowers, wonderful people. But please note, this is just one example of many, many similar boutiques and flower shops with talented florists and professional staff. Imagine walking out with a bouquet like the one in the last image in the slideshow below! You would be walking on air, head held high, probably smiling. 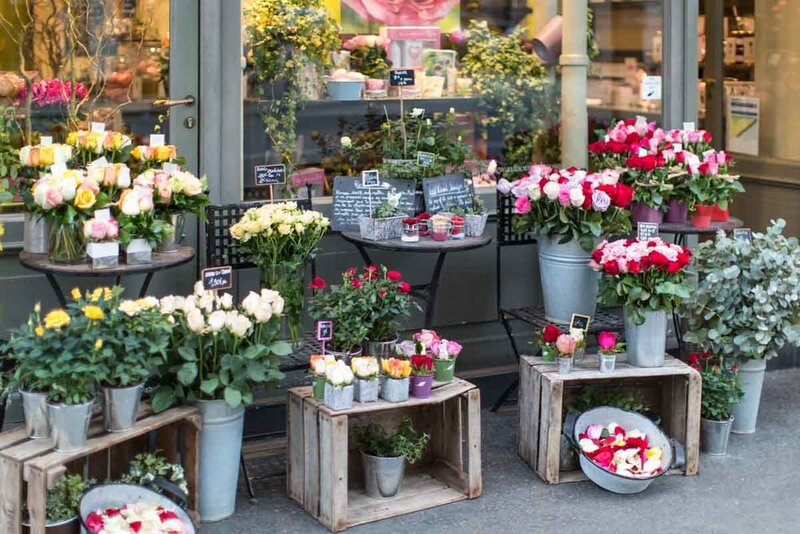 It’s probably not the case, but it seems that when you are strolling through the streets of Paris, not a block goes by without some delightful flower shop attracting your attention with its tasteful and colorful displays spilling out into the sidewalk outside the entrance. In fact, in order to continue on your walk, you often have to step around the most beautiful flower arrangements, baskets of cut flowers, bowls of rose petals, rustic boxes and stepladders full of colorful blooms all neatly labeled with chalkboard price tags. When you walk in (it’s hard to resist such an invitation), the shops themselves are works of art, with antique furniture, beautiful wallpaper, marble stands and vintage mirrors. They are full of wonderful, extravagant arrangements of every conceivable flower, blossom, bloom and foliage mixed with branches, moss, and vegetation of all kinds, creating a mini Garden of Eden. 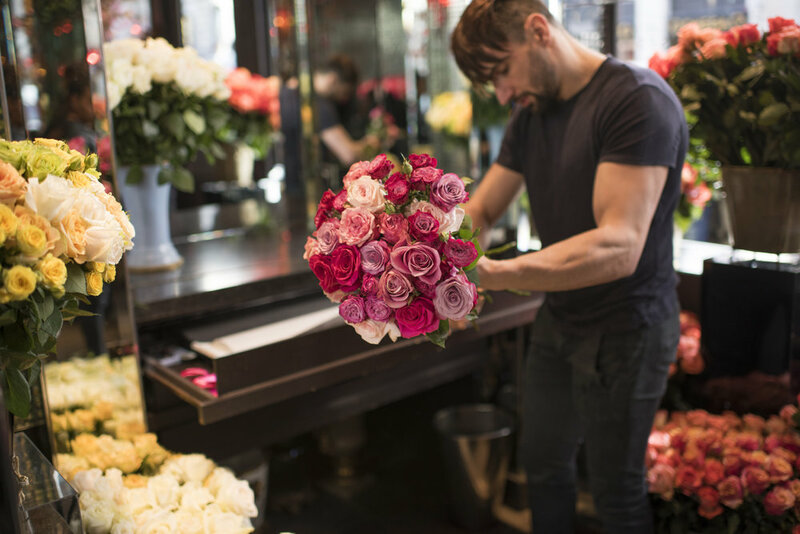 Smart, friendly, uniformed shop assistants are busy choosing, clipping, wrapping and tying perfect bunches and bouquets of flowers for customers who have an air of knowing exactly what they're looking for and conscious of the fact that they are getting the very best. 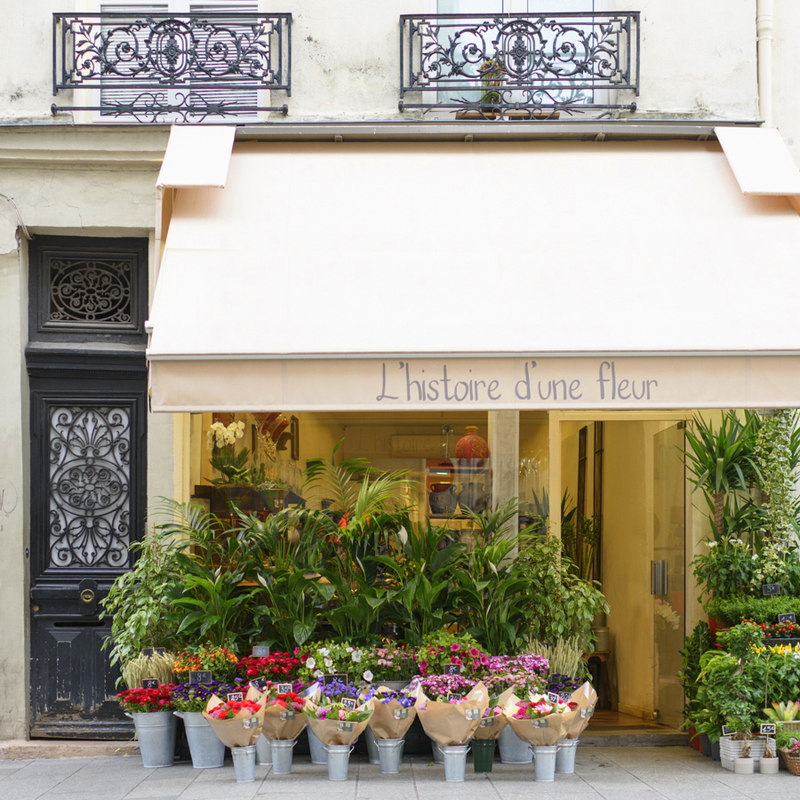 Many of Paris’s flower shops have really pretty and picturesque façades. We have put together a small collection of four of our favorites which are available as a discounted set of prints here. These square prints come in a range of sizes from 5 x 5 inches up to 12 x 12 inches and are carefully chosen to go together. 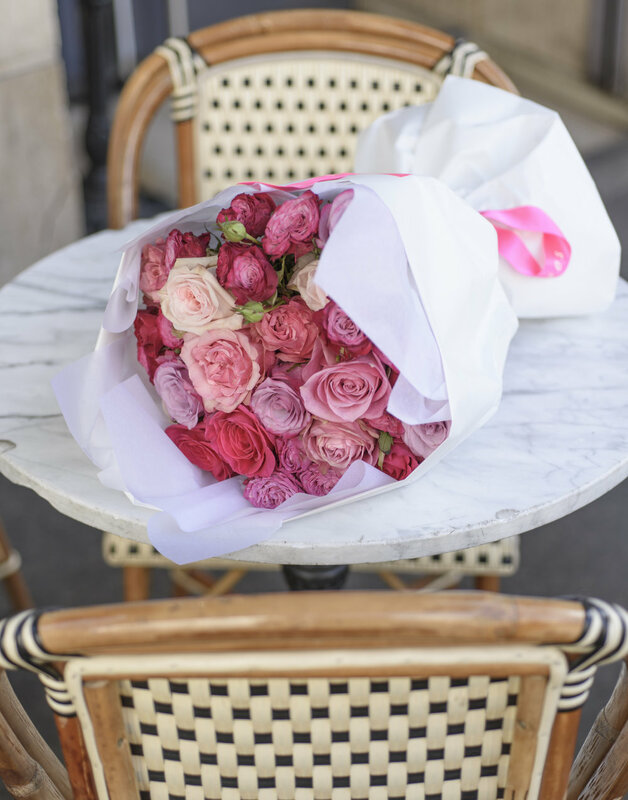 Paris in Bloom by Georgianna Lane is the perfect guide to all things floral in Paris. It includes a list of some of the best florists and flower shops with their addresses, along with a wealth of other material and scores of beautiful photos. Signed copies are avaialble here. We hope we have inspired you to take a fresh look at Paris's stylish floral culture. If you are in Paris when you read this, go and see for yourself. If you're not there now, when you next visit, put this on your list of top things to do. It's hard to describe just how magical the Parisian floral culture is. It's something you really have to experience for yourself. In the meantime, we hope you will have a look at the new print collection we have added to Parisian Moments, and if you don't have a copy of Paris in Bloom yet, now's the time to purchase your own autographed copy and experience April in Paris. And please leave your comments about the post. We love to hear from you and we read and answer every comment promptly. Share with anyone you know will enjoy it.